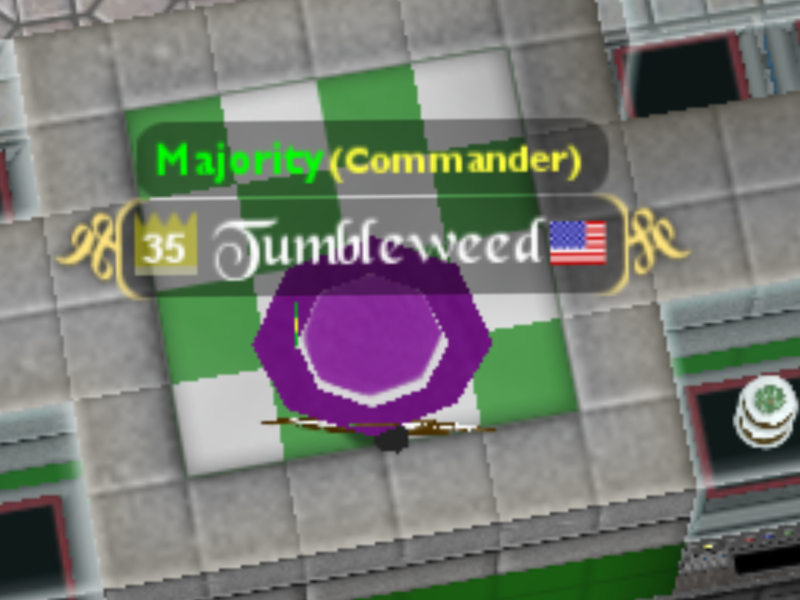 This annoys me, because several times I have been called "Jumble" before. I know its a "fancy-shmancy" font, but maybe you could add a little less curve on the T? Sure I can just disable it, but I want to use a font as this is the only one I have. Plus I can never use this font again. Perhaps a small rework for the current fonts? +1 for that. I hope somebody sees this! I remember having that font once. I was walking around and lots of peeps called me OrangeJail so... I never put on that font ever again. also what do you mean that you nevre can use it again? Also, with this font, F and L next to eachother looks like H. It didn't bother me but I just thought about this. also when will the Easter pack come out @sir.kewberjh?